Hello Casino made its debut in 2014, and they strive to be ‘the most friendly online casino’. This online gambling site offers top-class games from leading software companies, including Net Entertainment and Microgaming. Hello Casino also features a mobile casino, enabling you to enjoy your favorite game on your tablet or smartphone. The Curacao e-Gaming Licensing Authority in the Netherlands Antilles has licensed Hello Casino, allowing them to offer online casino games. This not only guarantees a safe and secure online casino platform, but also a fair gameplay. The website’s clean and simple design enables you to start playing instantly. The homepage displays Hello Casino’s games repertoire, which is divided into several categories, including table games, slots, and other games. The site is easy to navigate thanks to the user-friendly interface and accessible navigation structure. If you register with Hello Casino today you will receive a 100% welcome bonus up to €100. Additionally, Hello Casino offers exciting promotions on a regular basis, including free spins and generous bonuses. Loyal players can obtain a VIP membership by signing up with Hello VIPS, which is Hello Casino’s loyalty program. VIP members benefit from their own personal account manager, plus exclusive bonuses. Welcome bonus 100% up to €100 New players receive a 100% bonus after their first deposit. Hello Casino provides you with more than 250 casino games, including roulette, blackjack, and popular video slots, like South Park, Twin Spin, and Thunderstruck. Most games are available both in free play mode and real money mode. Table games: enjoy roulette, blackjack, baccarat and other table games, like punto banco, hi lo switch, and craps. Classic slots: spin the reels of one of nine slots, to name a few, Jackpot 6000, and Pirates Gold. 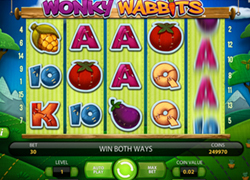 Video slots: you can choose from more than 210 video slots, such as Wonky Wabbits, South Park, Starburst, Avalon, and Lucky Koi. Video poker: play video poker games, like Jacks or Better, All American, and Deuces Wild. Other games: Hello Casino also offers several bingo, and keno titles. Hello Casino also features a mobile casino, enabling you to enjoy your favorite casino game on the go. For example, spin the reels of popular video slots, like Gonzo’s Quest or Starburst, while you can also play classic table games, including roulette, and blackjack. If you have any questions you can contact the excellent customer service. The friendly helpdesk members are available from 9:00 AM until 11:59 PM via email, telephone, live chat or Skype. Emails are usually answered within 24 hours, depending on the complexity of your question. Before contacting the customer service, you can first check the FAQ section. Conclusion: Hello Casino was launched in 2014, and it has the potential to become an influential player in the online casino business. The easy-to-navigate structure, in addition to the broad range of online games, result in an online gambling platform that offers something for everyone.